‘Thugs of Hindostan’ is this year’s most awaited film and it will be the first time we’ll see Aamir Khan and Amitabh Bachchan on the big screen together. The film also stars Fatima Sana Shaikh and Katrina Kaif in pivotal roles. 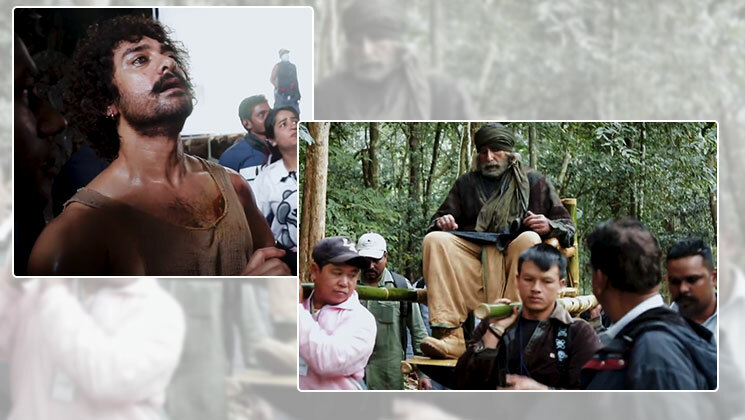 Yash Raj films has now released a behind the scenes video titled ‘Making of Thugs in Thailand: Chapter VI’. Shooting in Poda Nui was such a great experience. What a beautiful location! Aamir was also worried about the snakes and bats surrounding the area. The crew also talked about having to deal with snakes on the set and after a while, it didn’t make a difference whether it was a real snake or a fake one. Looks like the cast and crew enjoyed their Thailand schedule. ‘Thugs of Hindostan’ releases on November 8, 2018. Can this film of Aamir Khan break the record of ‘Dangal’? Also Read: ‘Thugs Of Hindostan’: You can do advance bookings for the action adventure on THIS date!